Signal Flow , Ferrer & Karizma Inc, Jimpster, German Brigante, The Martinez Brothers and more. 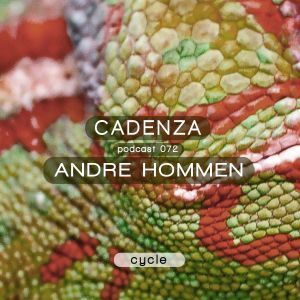 This week&apos;s Source to Cycle comes from André Hommen. Original from Nettetal in Germany, André was inspired by the radio shows broadcasting over the local airwaves, opening up his ears to the house music sound, and influencing his move behind the turntables to hone his craft. André is widely known as one of the crew at Dennis Ferrer&apos;s Objektivity label, helping the develop the careers of Ferrer, Argy, Martinez Brothers, and finding the time to also develop his own production style and DJ career. Releases on Objektivity and Plastic City have wetted his appetite to further his production career, so we look forward to some future music from him.